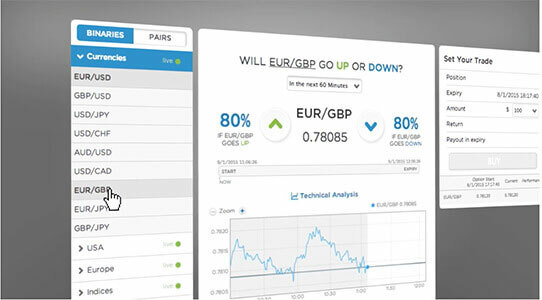 Stockpair is a leading broker that specializes in providing excellent conditions for binary options and pair options trading. Before you choose Stockpair for trading, it’s important you read this review to assure a safe and comfortable trading experience. Stockpair’s website was established in 2010. And, the site has been designed with the user’s interests in mind; navigating it while looking for information about the broker is quick and uncomplicated. Also, opening an account on the site is fast and devoid of unnecessary complexities. We wish every broker’s site could employ this same level of simplicity! Stockpair has a robust trading platform that is built using the latest advanced technology to guarantee reliability of trades, accuracy of data, and unmatched trading conditions. The platform has a comprehensive resource center, tools, and other helpful materials to assist traders make informed decisions. Stockpair also offers a mobile trading platform for iOS and Android devices to enable traders enjoy limitless trading, anytime, anywhere. To address the different needs and trading style of traders, Stockpair offers four different account types. These are Silver (minimum deposit of $1,000), Gold (minimum deposit of $5,000), Platinum (minimum deposit of $20,000), and VIP (minimum deposit of $50,000). Stockpair provides several secure and comfortable payment methods. You can use the major credit/debit cards as well as other electronic payment methods. The minimum deposit amount required is 250 currency units (USD, GBP or EUR). In spite of providing its services to customers in more than 100 countries, Stockpair does not allow U.S. traders. Stockpair provides lucrative returns to traders. You can earn payouts of 83% for successful binary options trades. For floating pair options, payouts can be as high as 350%. The broker normally processes withdrawal requests within five working days. Withdrawals made via credit/debit cards require an extra three to seven working days to reach your account. And, funds withdrawn via wire transfer may take a much longer time. Stockpair has an enticing bonus program for traders. For example, depending on the account type you choose, you will earn a monthly cash back of 0.5% to 3.0%. The broker also has other bonus programs that apply to account holders. The broker has a committed and experienced customer support department prepared to offer assistance to traders. The broker’s support department can be reached 24/7 via phone, email, or live chat. Stockpair is a brand of a company called NXB Financial Services Limited. The company is licensed and regulated by the Belize International Financial Services Commission under license number IFSC/60/346/TS/14. Furthermore, the company’s electronic payments are processed by NXF Services. Therefore, you can always have a peace of mind when dealing with Stockpair because it is a highly reliable broker that doesn’t condone fraudulent activities. Stockpair provides different types of binary options and pair options, which consists of commodities, currency pairs, stocks, and indices. And, the expiry times are widespread, from 60 seconds to 150 days. The broker also offers the innovative KIKO options, which comes with no set expiry time. Stockpair has a resourceful education section containing explanations, guides, and other beneficial information to enable traders sharpen their skills in trading binary options and pair options. The education section has everything you need to become profitable while trading with Stockpair. Stockpair offers support in various languages, including English, French, German, Arabic, Italian, Swedish, Spanish, and Dutch. If you are looking for a broker that emphasizes on simplicity, security, and transparency, then you could consider opening an account with Stockpair.